Ahead of Sunday's trektastic concert at the Royal Albert Hall, we were kindly offered the opportunity to talk to Ron Jones who was the composer on Star Trek The Next Generation on seasons 1-4. We have lived the Trekkie dream this morning by attending the Exclusive Footage Preview at the British Film Institutes IMAX in London kindly shown by Paramount Pictures. Shown before any of the many 9 minute previews scheduled around Britain along side the Hobbit. Initial reaction: replicate us some new underwear please! Check out our video for the scoop. 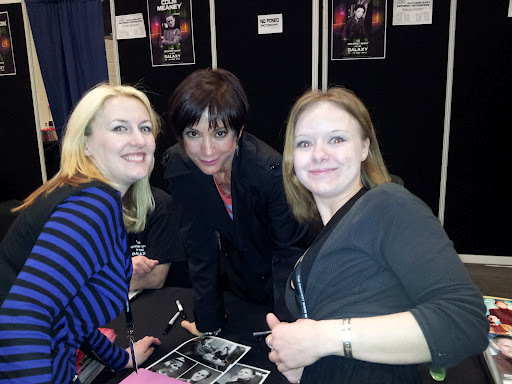 Our final interview from TGSITG was with the lovely Nana Visitor. We were really looking forward to talking to her as Kira Nerys is one of the most developed and interesting female characters on the show. We were struck with how much passion Nana spoke about Kira. We could sense a real feeling of guardianship over her character. 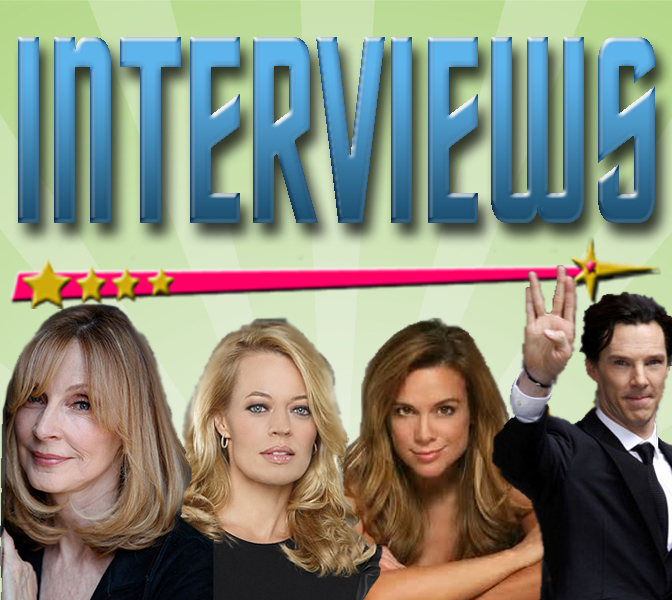 We were incredibly privileged to speak to Jeri Ryan at The Greatest Show In the Galaxy. Even though she was very jet lagged, she remained as beautiful and witty as ever. As this was Jeri's first visit to the UK, she was in high demand - plus she is official nerd bait! As we mentioned in our previous reports and vBlogs, we had the honour and privilege of talking to some of the woman of Star Trek at last weekends The Longest Named Greatest Show In The Galaxy. However we must confess to having a soft spot for Chase Masterson. We keep saying she was a complete sweetheart (because it's true) and she is the ultimate Trekkie Girl. Since starting the banquets in 2005 over £8500 has been raised for Macmillan Cancer support....damn Trekkies are awesome!